J. Fredric May is a former photojournalist and filmmaker. In 2012, he suffered a major stroke that left him legally blind and subject to extraordinary hallucinations. This life-changing event altered his artistic vision, opening up an entirely new visual style. 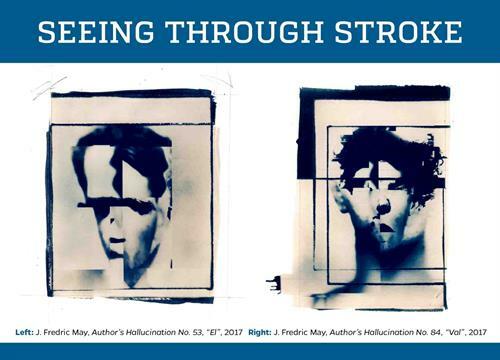 May’s fragmented and compelling images reveal an artist seeing the world and making art after stroke. The exhibition is free and open to the public. Presented in collaboration with the UF Center for Arts in Medicine, Harn Museum of Art, UF Health and UF Creative B.